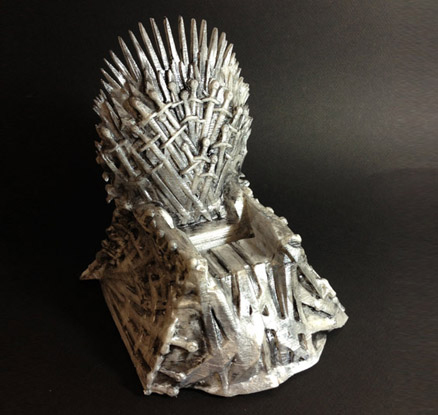 It has come to our attention that you have created and are currently offering for sale an “Iron Throne Dock” which replicates the Iron Throne featured on the Series. While we appreciate the enthusiasm for the Series that appears to have inspired your creation of this device, we also are concerned that your iron throne dock will infringe on HBO’s copyright in the Iron Throne, and given the distinctive nature of the Iron Throne, mislead consumers into believing that it is connected with the Series and that it originates with or is sponsored by HBO. What I find interesting is that HBO refers only to their copyright in the throne in the letter. HBO writes that they own “all rights including intellectual property rights” in the series “as well as elements associated with it, including the copyright in the Iron Throne design.” But the idea of customer confusion based on the design that HBO raises, while certainly applicable to copyright enforcement in some respects, is arguably even more applicable in a trademark context. I’m not saying that copyright isn’t a sound basis for the demand to stop selling the product. But later in the letter HBO even states that they are selling specific licensed products based on the throne design and people may be confused. If they are actually selling products that are attributed to HBO purely based on the distinctive (and ornamental / non-functional) elements of the throne design, then I’d argue there’s a pretty classic trademark argument to be made as well. So open question: Any thoughts on why HBO chose only to mention copyright in the letter? 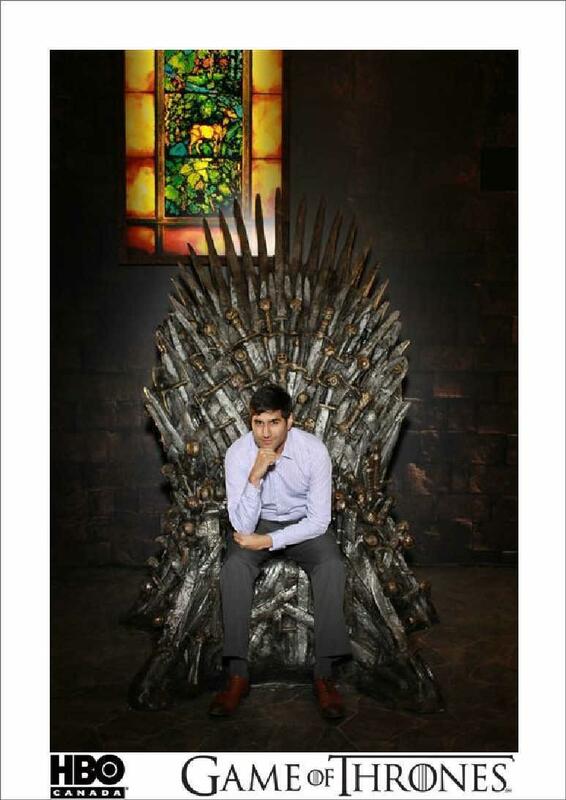 Second question: Now where do I get an awesome iPhone Iron Throne Dock? *** For those interested, a) it was awesome, b) it wasn’t metal, and seemed to have some kind of resin paint on it, and c) it actually looked surprisingly fake up close! They told me they spruce it up ‘in post’ and I nodded as if I totally understood. ← 3D Printing in the President’s State of the Union Address!